The minimum state pension for work experience and retirement age was increased to 200 BGN (100 Euro) per month from 1st of October. Thus, nearly 820,000 pensioners will receive monthly by 20 BGN (10 Euro) more. This is the second increase for 2017. The previous one was in July, when the minimum state pension went up from 161 BGN to 180 BGN. 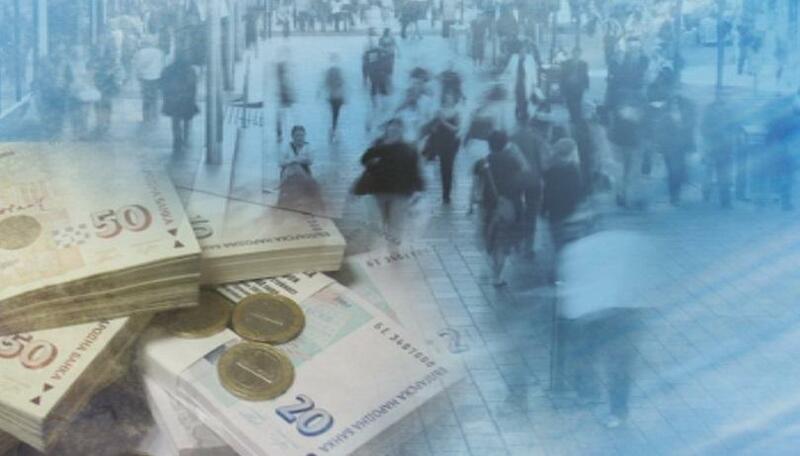 Almost 40% of pensioners in Bulgaria receive the minimum pension. After the increase they will receive BGN 20 more per month, which on average equals two home-made pastries. In 2018, the minimum pension is projected to increase by another 3.8%. The ministry of labour and social policy also works to increase the guaranteed minimum income from 65 to 75 BGN. Bisser Petkov, Minister of Labour and Social Policy says that 80 million will be needed for the increase. He explained that other options under programmes of the ministry would be sought for in order to finance the measures undertaken for the pension increase. However, these measures do not satisfy pensioners. They insist that there should be an increase in all pensions, not just the minimum. Acad. Gancho Popov, The Head of the National Bulgarian University "Treta Vazrast" (Senior Citizens) says that the normal amount of pensions should be BGN 400, which is an absolute minimum.